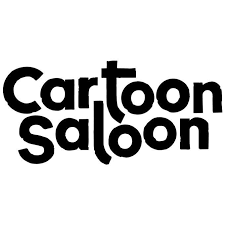 LOS ANGELES (December 11, 2017) –THE BREADWINNER, directed by Nora Twomey for Kilkenny-based animation studio Cartoon Saloon, was nominated today for a Golden Globe for “Best Motion Picture – Animated” by the Hollywood Foreign Press Association. This latest recognition continues a critically-acclaimed streak for the independent feature film won the Los Angeles Film Critics Association (LAFCA) and Toronto Film Critics Association (TFCA) prizes for “Best Animated Feature” earlier this week. 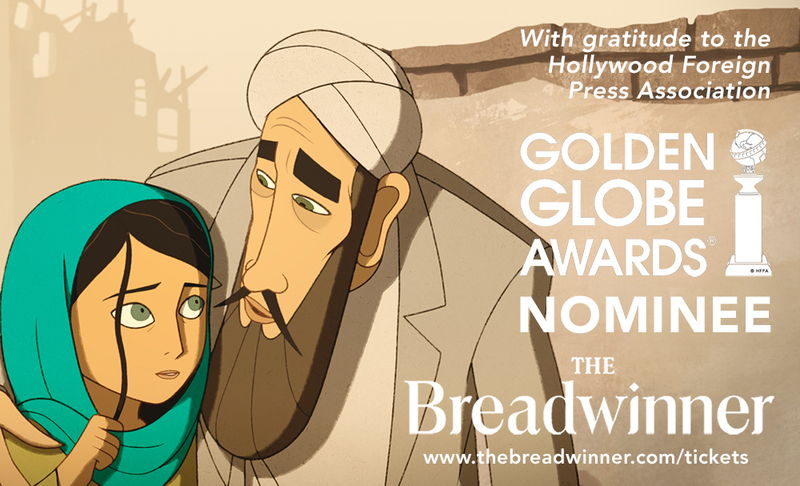 To date, it has garnered 10 Annie Award® nominations including “Best Animated Feature – Independent”; and earned nominations from the Broadcast Film Critics Association, the Chicago Film Critics Association he Los Angeles Online Film Critics Society (LAOFCS), and the San Francisco Film Critics Circle for “Best Animated Feature.” THE BREADWINNER is currently playing in theaters nationwide. From executive producer Angelina Jolie and Cartoon Saloon, the creators of the Academy Award®-nominated The Secret of Kells and Song of the Sea, comes the critically-acclaimed new feature based on Deborah Ellis’ bestselling novel. Parvana is an 11-year-old girl growing up under the Taliban in Afghanistan in 2001. When her father is wrongfully arrested, Parvana cuts off her hair and dresses like a boy in order to support her family. Working alongside her friend Shauzia, Parvana discovers a new world of freedom–and danger. With undaunted courage, Parvana draws strength from the fantastical stories she invents, as she embarks on a quest to find her father and reunite her family. An official Ireland-Canada-Luxembourg co-production, THE BREADWINNER is being produced with the participation of the Irish Film Board, Telefilm Canada & The Film Fund, Film Fund Luxembourg, The Harold Greenberg Fund, Shaw Rocket Fund, the Ontario Media Development Corporation and the Broadcasting Authority of Ireland along with Gaia Entertainment and the Artemis Rising Foundation. The film will have its Irish premiere at the Audi Dublin International Film Festival on February 22, 2018, and will be given a theatrical release by Studio Canal in Ireland in May 2018.